As per the Motor Vehicles Act, it is mandatory for every car owner to insure his/her own vehicle with at least a third-party liability cover, especially those who reside in high-accident prone areas such as the metropolitan cities like Ahmedabad, Mumbai, Delhi, etc. 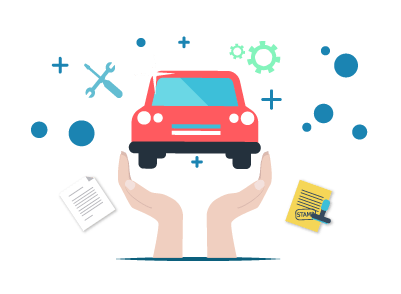 A comprehensive car insurance policy offers an overall protection to the policyholder by covering third-party liabilities as well as own damage liabilities that one incurs as a result of mishap. Third-party Liability Cover A third-party liability car insurance policy is an insurance plan that offers limited insurance coverage. The policy covers only the third-party liabilities that one incurs as a result of mishap. You can purchase or renew your car insurance policy online by visiting any of the third-party insurance websites or official websites of the insurers. The online purchase or renewal of the insurance policy involves very less documentation and is paperless. The payment for the insurance plan can be made by using credit card, debit card or netbanking. You can meet with any of the insurance agents or visit the nearest branch office of the insurer to purchase or renew your car insurance policy and buy/renew policy based on your insurance needs.